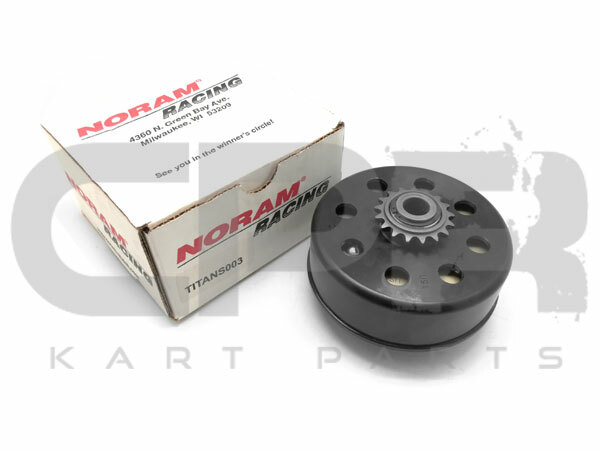 Noram TITAN Clutch suit big block 4-stroke with 1" (25.4mm) Bores. 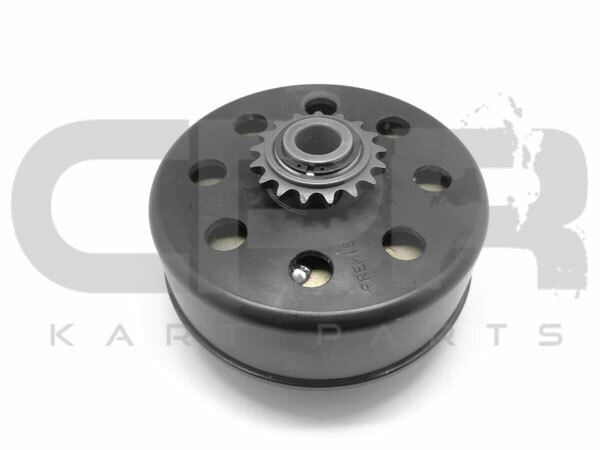 The PREMIER TITAN Racing Go Kart Clutch is a powerful shoe kart racing clutch. It features a one-piece drum with interchangeable drive sprockets. It also features Premier’s exclusive shoe/spring/hub “cartridge” which allows for quick and easy set-up changes. The NORAM Premier TITAN is the direct result of years of technical innovation in design, precision engineering and the use of highest quality components. We believe that high quality doesn’t have to mean high price. We want to increase your chances of winning, not your cash output. 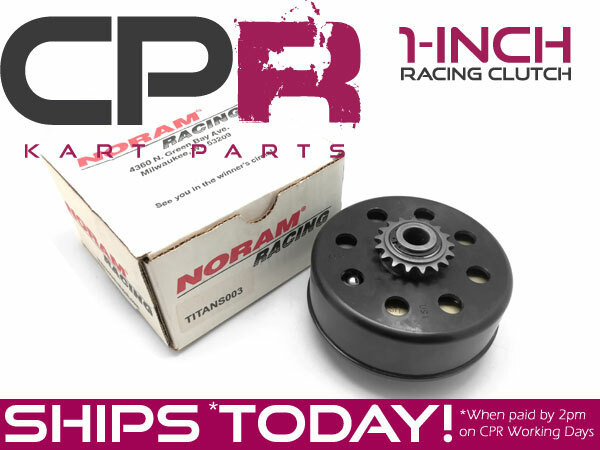 Titan racing go kart clutches are high class and streamlined to obtain the greatest race times as well as outstanding kart racing performance – and the most bang for your buck. 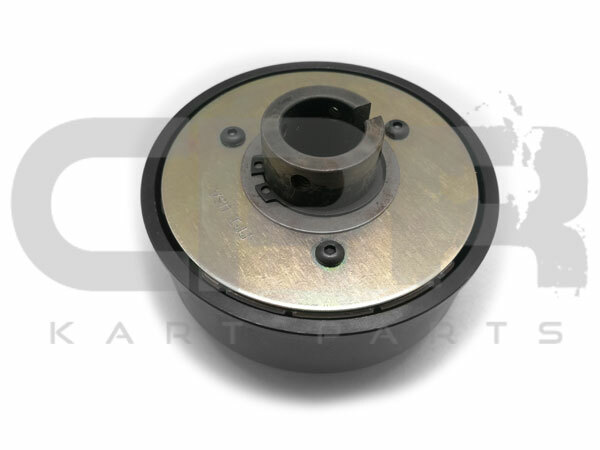 We also offer other drive component items like kart sprockets, kart hubs, and wheel adapters. Premier is like the name says: Top in class. Choose Premier. The Titan Racing Go Kart Clutch is a computer-designed three-shoe racing clutch that has succeeded everywhere it has been run. It features a fully-machined drum with interchangeable drive sprockets, as well as Premier’s shoe/spring/hub “cartridge” which allows for quick and easy set-up changes. It is the ultimate racing clutch based on testing by Briggs & Stratton for their 10 to 15 hp Briggs Animal and Briggs World Formula Engines. Supplied with GREEN springs for approx 3600RPM engagement. Length of inner shaft ~45mm - requires approx 40mm long shaft. Looking for the Titan owners manual?